Originally published in the Journal de Montréal on October 1, 2011. 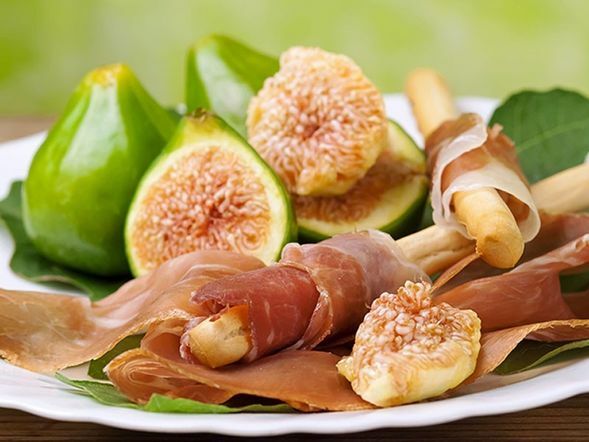 Figs, along with dates, grapes and olives were a primary food source for the ancient populations of the Mediterranean region. Recent excavations in the Jordan Valley in Israel point to the fact that the domestication of figs goes back as far as 11,000 years, making it the oldest domesticated fruit. As was the case with other food plants, the Romans introduced it to the rest of Europe and Spanish conquerors did the same in America. The fig tree thrives in hot climates and it is still chiefly cultivated in the countries of the Mediterranean region, mostly in Turkey, and also in Iran and Morocco. Only a small portion of the production of exportable figs is sold fresh. The rest of the production is dried. Botanically speaking, a fig is not a fruit but rather an inflorescence: it’s actually the small crunchy seeds in the pulp that are the real fruits.